AMD just showcased a live presentation of the Frostbite Mantle API, a new feature co-developed by AMD and DICE to fully unleash the graphical horsepower of GPU’s powered by the GCN architecture. 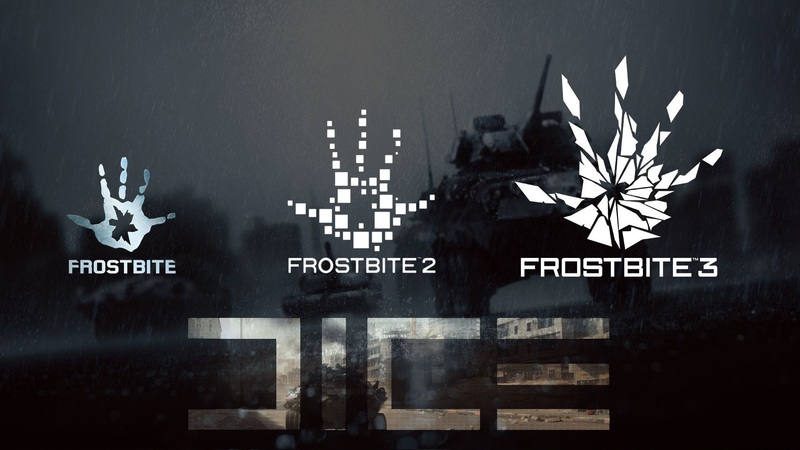 The Frostbite Mantle used with Frostbite 3 engine powered Battlefield 4 is a new API which would be used naively instead of DirectX 11.1 on compatible Radeon GPUs to enable higher graphics performance. The Frostbite Mantle feature isn’t only limited to Battlefield 4 but would be used in DICE’s entire portfolio of Frostbite 3 powered games which include Mirrors Edge, Dragon Age: Inquisition, Star Wars: Battlefront, Plants Vs Zombies: Garden Warfare and less than not least, Battlefield 4. 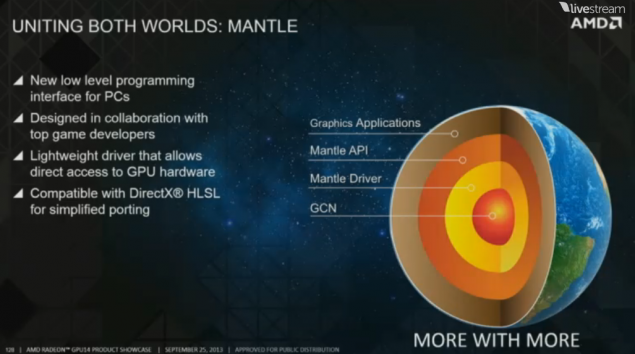 The Frostbite Mantle API comes with a light-weight driver that allows direct access to GPU hardware for the developers allowing for easier a much easier game development process. 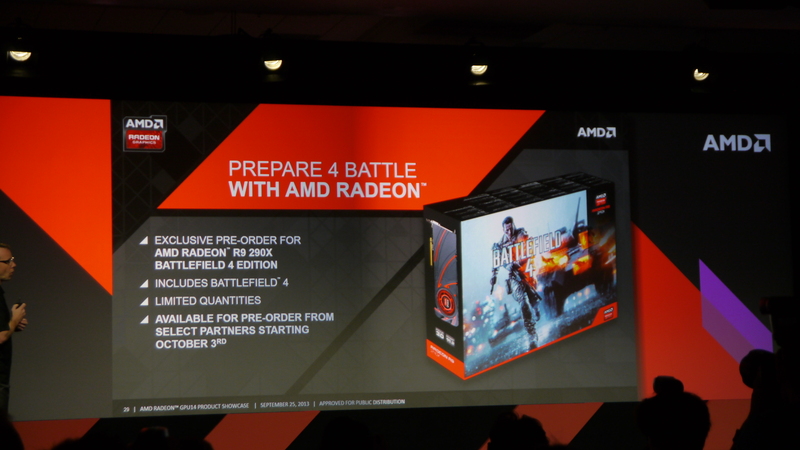 Its no surprise that the tech is first coming with Battlefield 4 since it has been officially bundled with AMD’s flagship Radeon R9 290X GPU. 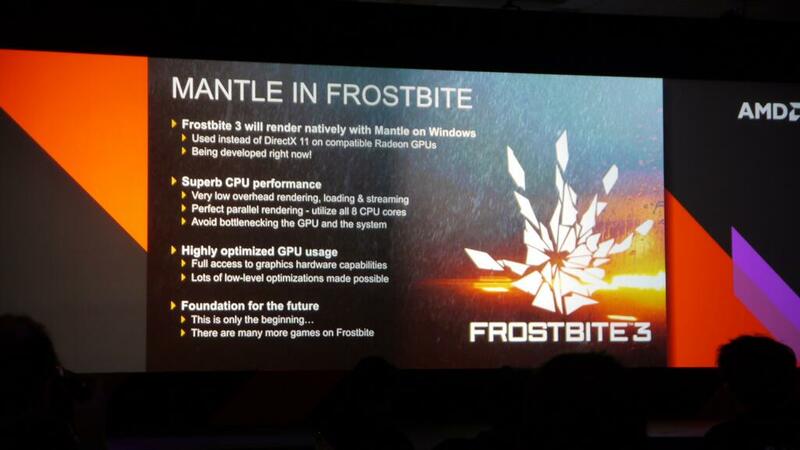 The Frostbite Mantle not only allows GPU optimization but also boost CPU performance since very low tasks are handled by the CPU such as rendering, loading and streaming (tasked upon the GPU) so this allows perfect parallel rendering that allows utilization of upto 8 CPU cores found currently on AMD’s FX processors. 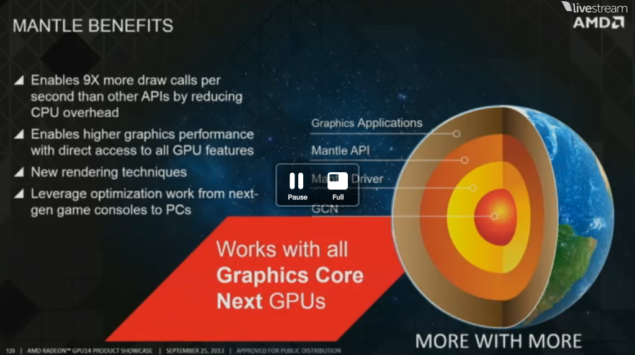 This also helps avoiding potential bottlenecks for the system that may occur if the CPU is under load which in the case of Mantle won’t happen at all. Its clearly mentioned in the slide that Frostbite Mantle for Battlefield 4 is just the beginning since there are many more games featuring the same technology for compatible AMD Radeon GCN powered GPUs. Its great news for the PC community and i sure do want to keep an eye out from more information regarding Frostbite Mantle.